Get A RED, RED ROSE FREE ON Kindle! What's an Author to Do When her Publisher Folds? As always, after you've read the novel, I appreciate your taking the time to post a comment on Amazon. It's easy. Pull up A Red,Red Rose by Susan Coryell. Click on the cover image and scroll down to reviews. I've just finished writing the sequel, now entitled BENEATH THE STONES. It picks up 5 years later with Ashby the mistress of Overhome and planning her marriage to Luke. But a LARGE problem looms! and the ghosts this time hark from the Civil War. Thanks for your support! I love my readers! A RED, RED ROSE - KINDLE SELECT RELEASE DATE IS NOVEMBER 24! 20-year-old Ashby Overton is invited by her aunt and uncle to spend the summer at historic Overhome Estate as a companion to her young cousin. Ashby has ulterior motives: She hopes to unearth her ancestral roots and the cause of a mysterious family rift surrounding the horseback riding death of her Grandmother Lenore many years ago. Situated high above Moore Mountain Lake, Virginia, the imposing mansion is an idyllic setting for Ashby, the aspiring romance writer. From the moment she enters her room in the oldest wing, Ashby feels an invisible, enfolding presence. This was Rosabelle’s room the housekeeper tells Ashby. But no one is willing to talk about Rosabelle. As summer unfolds, so does the shroud of silence surrounding Overhome. Ever present is a force Ashby never sees, only feels. Candles light themselves, notes from an old lullaby fall from the ceiling, the radio tunes itself each day. And roses, always meant for Ashby, appear in the unlikeliest places. Are the roses a symbol of love, or do they represent something dark, something deep and evil? Full of heartbreak and adventure, fear and passion, the summer leads Ashby on a suspenseful, sometimes terrifying journey as she navigates centuries of family strife alongside the puzzling parameters of the spirit world. Ultimately, she discovers that some secrets, even the most fiercely guarded, are destined to be revealed. Though the novel has not changed since being republished, the cover has. Tell me what you think! And...(drumroll) I have just completed writing the sequel to A RED, RED ROSE. Flow Gently, Sweet Ashby takes place 5 years later. Many of the same characters reappear and lots of new ones, as well. MUCH Civil War history in the sequel! So, dear readers, please order the new e-book NOW! Print Copy of A RED, RED ROSE coming March 14, 2014. 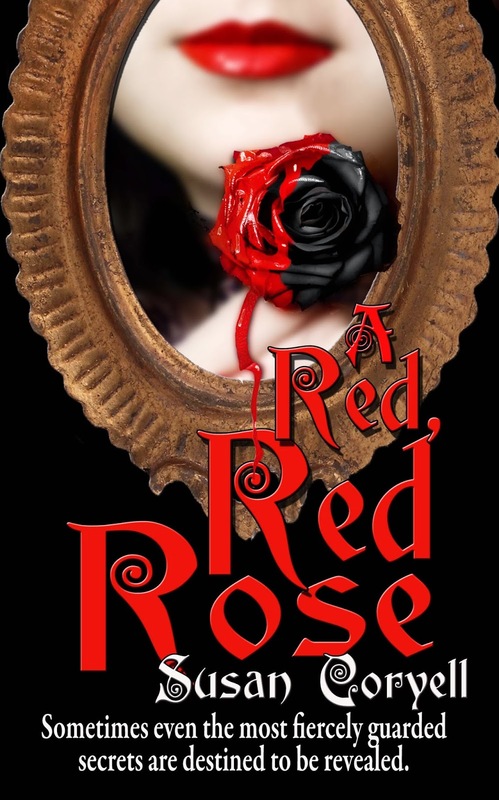 My new publisher, The Wild Rose Press, is releasing the e-book version of A RED, RED ROSE for Kindle Select (Kindle Digital Publishing) November 25, 2013--just in time for Thanksgiving! This exclusive publication lasts for 3 months. A RED, RED ROSE may be downloaded on your Kindle FREE from January 21 - 25, 2014. The worldwide release date for the print version of my cozy mystery/Southern Gothic set in SW Virginia is March 14, 2014. If you haven't read A RED, RED ROSE yet, please fire up your Kindles (yes, a pun) and order the digital copy--then give me a heart-felt review on Amazon if you are so moved. If you like my story, you'll be happy to know I have finished the sequel and am polishing it to submit for publication. FLOW GENTLY, SWEET ASHBY takes place five years later--same setting, same characters, new ghost(s). I love my readers and appreciate your support! A mid-summer notice from my publisher blindsided me and my 200 writer colleagues published by L&L Dreamspell, a small Indie outfit in Texas. One of the L's (Linda) had died suddenly. The other L (Lisa) made the decision to close the company. Thank goodness Lisa offered us some lifelines. She rounded up some publishers who agreed to give our books priority. While re-publishing required a query letter, synopsis and some editing, I feel extremely lucky to have landed a contract with The Wild Rose Press, an excellent five-year-old New York Indie company with some 800 authors. When I submitted my ms. to TWRP, I said, "I don't know if you'll like my novel, but it certainly fits in with your name." 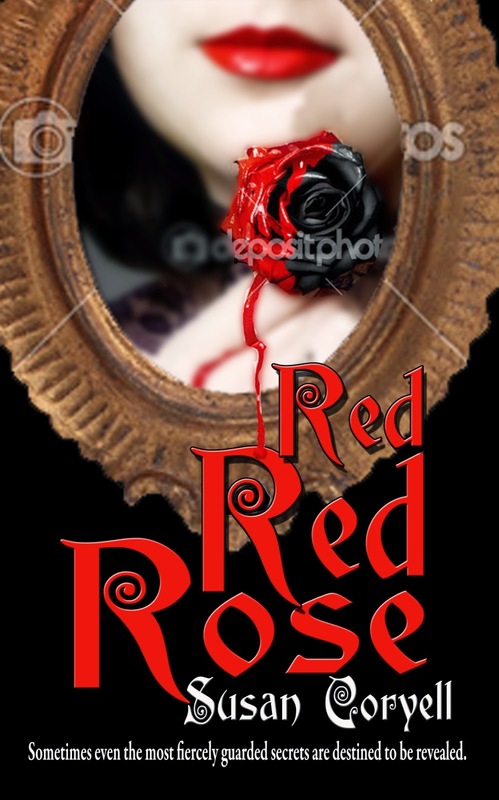 As it turns out, A RED, RED ROSE will be published under their "Crimson Line" (suspense)! A RED, RED ROSE, a Southern Gothic/cozy mystery, is in production for re-publishing as we speak, and I should receive notification any day that it will go to Kindle Select for 90 days. Some time during that period the novel will be offered free for 5 days. I am delighted to share with you my NEW cover. I think it's eye-catching, to say the least and very gothic, for sure. I'd love to hear your opinions. Also, for those who read A RED, RED ROSE and clamored for a sequel, I have finished the draft of FLOW GENTLY, SWEET ASHBY. My editor at TWRP says she'll give it a look whenever I am ready. for e-book and print through Amazon and Barnes & Noble. Revised and updated to include cyber-bullying, the story of how Wardy Spinks survives mean-spirited bullying and builds self-esteem, is ever relevant. As you can see, I have been busy. Ultimately, I feel the tragedy of a folding publisher and the effort to obtain a new one will result in better promotion for my writing. I will share all three publication dates as soon as I know!